The Department farewelled long term employee Trisha Cowley last month. 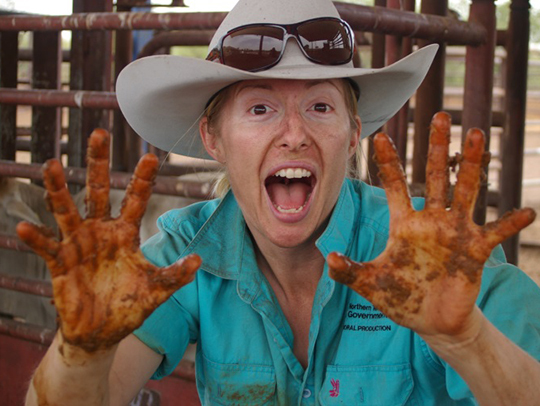 Trish has worked for the Northern Territory Government for 10 years, and is leaving her position as the Pastoral Production Extension Officer at Katherine Research Station. 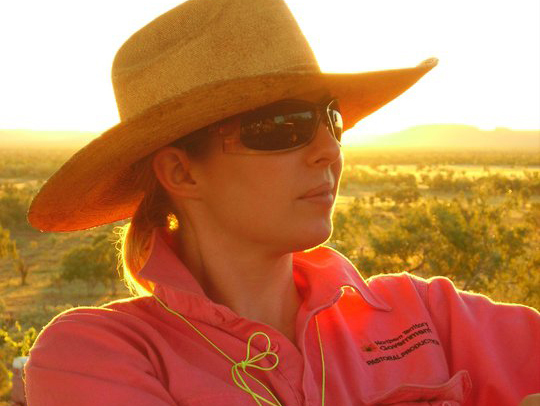 She and her family have moved to a farm in NSW and we wish her all the best in the future. Our eyes fill with tears as she sets sail. Fashion icon always is our dear Trish. Also calculating supplementation breeder cow rations. And thank her from the bottom of our hearts as they leave K-town. Always a happy smile, even when working in the mud!